When it comes to camping, many people enjoy getting out on the road and visiting exciting new locations with friends and family. This can be for vacation or a simple break from the daily grind. Many people like to disconnect when camping, even if it is just for a weekend or a couple of days. This can perhaps be camping in small tents and living off a fire for the weekend, to more extreme survival like Bear Grylls, also known as ‘roughing it’. Or if you prefer a more comfortable camping experience, this can be in an RV on a road trip with many different pit stops along the way. Whatever form of camping you are doing, it doesn’t mean you have to be completely without power and that’s where using a generator comes in handy. Let’s look at how to quite a generator for camping. Generators are compact devices which convert mechanical energy into electricity. They are generally used during power outages or when electricity isn’t readily available on job and construction sites. 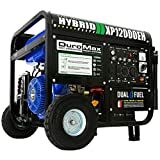 Nowadays, however, more and more people are starting to use portable generators on their camping adventures. They are extremely useful in providing electric power for your RV, allowing you to have warm water, lighting and a means of making food. The only problem with having a generator for camping is the awful sound that they make, which can be quite disturbing when out on a relaxing trip, especially in the night. 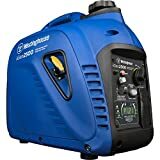 Many people don’t take generators with them simply due to this fact alone, and so finding out how to deal with one can certainly make all the difference. Therefore, in this article, we will take a look at four different methods of quieting a generator for camping, so you can remove any unwanted noise quicker and easier for your next camping trip. We will also mention two last resorts that you can also consider in the case of finding alternative methods than the quieting alone. To start, we begin with one of the easiest methods of quieting a noisy generator, and that is, of course, to build a protective enclosure around it. This is just a simple boxed design which will help to keep the noise contained inside and will be useful for placing your generator in a variety of different spots on the campsite. All you are really required to do is take a few measurements of the generator to make the correct sized enclosure and create a sturdy base for the generator out of concrete. Then, add the walls which can be either wood or bricks for added strength. The roof is also important as it needs to allow some ventilation, as to not overheat the generator. To be even safer, you could even use a fireproof insulator to make the box, which would keep and absorb heat better than wood or brick and even keep it a lot more fireproof, which allows complete peace of mind for campers! Another trick which can be considered is lining the generator enclosure with sound-absorbing material. This could include acoustic foam sheets, or quiet board water resistant panels, which would perform two jobs in one! The part of the generator which makes the most noise is without a doubt the exhaust pipes and motor. As the motor is pretty much impossible to adjust, the only option is to buy a new one. With the exhaust, however, there are more possibilities to change it and make it quieter. This can be done by simply changing the direction of the pipes, or even easier by purchasing a bigger muffler. The muffler’s main purpose is to muffle any sound, and so by purchasing a bigger one, it will help to remove the sound even more. This is probably one of the most carried out methods of quieting a generator. Although you may not believe it, water can actually play a huge part in the noise coming from a generator. How exactly? Well similarly to the muffler, it can actually be used to muffle the sound of a generator. To do this trick, you will need a big bucket of water and a hosepipe. By connecting the hose to the generator’s exhaust pipe, and placing the opposite end of the hose into the bucket, the water will pick up any sound and immediately muffle it, and dampen the sound so that you don’t hear it as much. Of course with this method, you have to make sure no water leaks into the generator, so be careful when carrying out this trick. 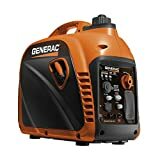 If you are interested in further ways to camp without a roaring generator, then luckily there are other options out there. A more environmentally friendly consideration when it comes to having power could be by investing in a portable solar power generator. This would particularly work well in areas with a lot more sunshine and is definitely an option that will save you some bucks in the long run. 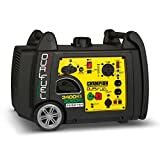 If you have tried all methods to try to silence your generator, and are still not content, then perhaps buying a special silent generator will be the last option to consider. These products are specifically designed to run quietly and will be engineered better, which means they will definitely cost a bit more than your average generator. By following these few simple tricks, you can easily remove annoying, frustrating sounds from your generator, and improve it for any camping trip you decide to go on. These tricks will not remove every ounce of sound present; however, they will do a good deal of muffling to make sure it is less unpleasant and more pleasant to camp with overall. Hopefully, these steps will be useful for you and your camping buddies, and give you all a better camping experience, as well as a better sleep!